Ideal Packaging is a leading provider of liquid filling machines for industrial applications. Their broad range of product lines includes fully automatic and semi-automatic filling systems; these all operate by Electronic Net Weight, Mechanical Weight or Volumetric technology. 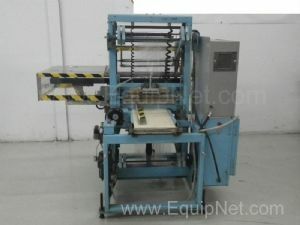 EquipNet continuously receives used Ideal Packaging equipment through our exclusive contracts with our clients. Our inventory includes but is not limited to Ideal Automatic Shrink Bundler. If you do not see the Ideal Packaging equipment you are looking for, contact one of our representatives and we will find it for you. We can also source the right tooling and change parts that you need through our huge network of corporate clients from around the globe.